Few marques can compare with the cool romance of Alfa Romeo. And few models did it more justice than the 'Spider'. Pour Pininfarina into the mix - and superlatives became a tad inadequate! Certainly, the Spider's sculpted 'boat-tail' rear could only have originated in Turin - home to the legendary Pininfarina design house. The 'Duetto' Spider referenced the twin-cam spec of the Alfa's engine ... as well as its snug two-seater cockpit. Technically, the Spider excelled on every level. Celebrity status was assured when the Spider 1600 Duetto co-starred with Dustin Hoffman - in the '67 film, The Graduate. The Spider had made its début a year before - at the Geneva Show. On its release - while undeniably expensive - the Spider's combination of refinement and practicality still made it good value for money. 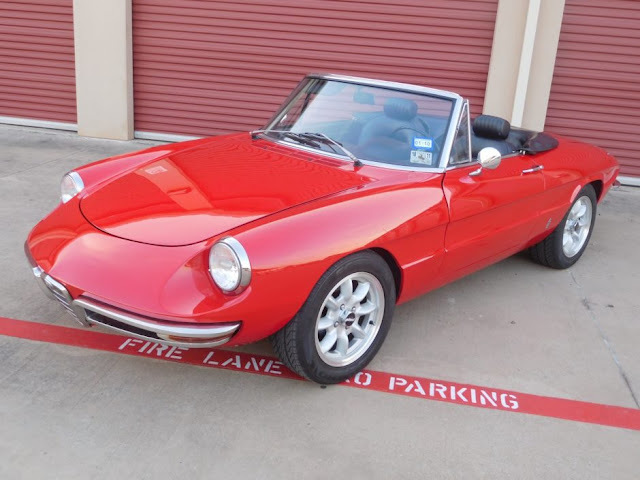 So, the Alfa Romeo Spider weaved an intricate web ... and one into which many drivers were all too willing to fly!